As the wind howls around the house, it seems like much more than a couple of weeks since I took these photos up at the North Coast. In fact, I looked very overdressed for the weather up there as it was such a warm weekend. But I'd just received this gorgeous parcel the day I was leaving and had to bring my new boots from Seven Boot Lane with me. 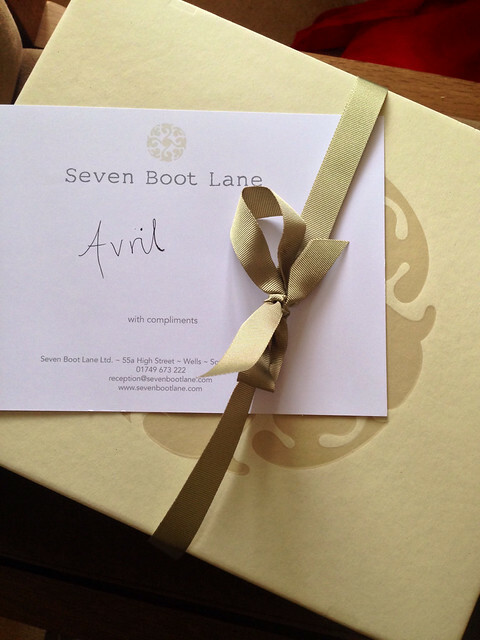 I was so fortunate to once again be invited by Seven Boot Lane to add to my collection from the new AW14 range. It took me a few days to decide though as I was very taken by the Carrie in Black but in the end, I went for the boots I'd featured recently on my Ankle Boot round up - the Carla boot in Bordo suede..partly because I have had burgundy footwear on my wish list for a while now but also because they are the same style boot as my stone coloured Bali boot (from the last blog post) that I've worn endlessly all summer as they are so comfortable. 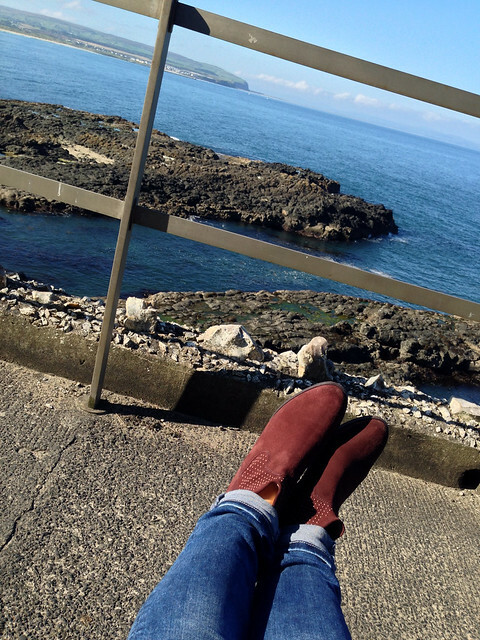 Boots on tour - checking out the view at Portstewart! 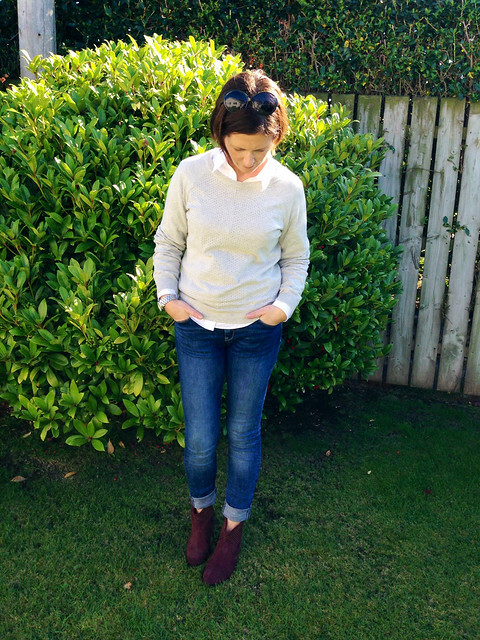 And my outfit - a simple white shirt/grey knit & jeans combo, brought to life with a bit of burgundy. 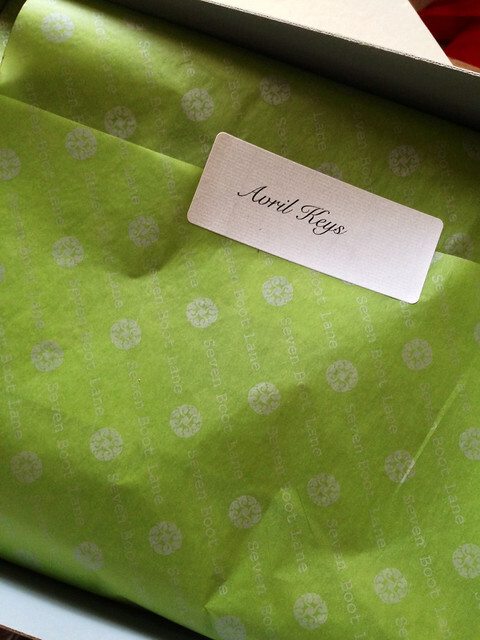 Great choice Avril, really like that colour and love the stud detail. Lovely photos too. 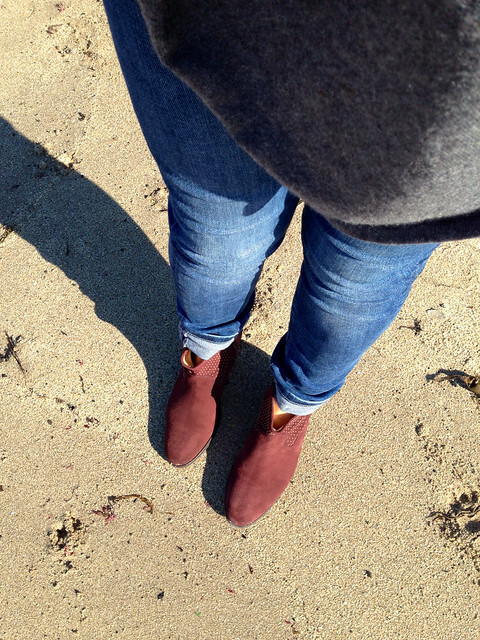 Lovely boots, Great colour for the winter. Such a gorgeous colour and I love the detail on them, love all their boots! Oh I'm loving these, the colour and the style!